Welcome to a whole new world of family fun. Welcome to Aulani. This beachfront paradise, set on the white sandy shores of O‘ahu in Ko Olina, was created with families in mind, by the people who know families best—Disney. 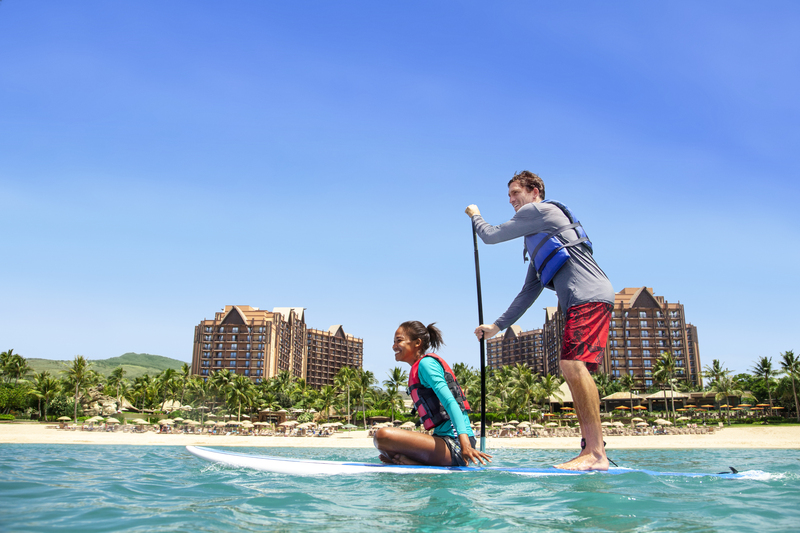 Maybe that’s why Aulani is a Travel + Leisure World’s Best Awards 2014 Winner for Top Family Hotel in the U.S.
For an up-close look at the ocean life, there’s Rainbow Reef, the private snorkeling lagoon. And for a bit of pampering, there’s Laniwai Spa, featuring O‘ahu’s only outdoor hydrotherapy garden. Aulani also features a host of amazing dining options that will please every palate. There are the local flavors of the signature restaurant, ‘AMA‘AMA, cocktails with a side of live music at Off The Hook and The ‘Ōlelo Room and so much more. Put it all together and Aulani is a whole new world indeed.